Planning a wedding, company party, or karaoke contest in Eau Claire, Wisconsin? Give us a call. Our DJs come prepared with a full sound system and lighting. Hire us for your event and you won't be disappointed! Our friendly DJs are conveniently available to listen to your party's specific requests and event goals. We'll play your favorite music or YOU can be the star while singing karaoke! It is YOUR event, let's make it extraordinary! From the grand march to the garter toss, our wedding DJs will keep your guests entertained. They know how to mix today's hits with classic wedding favs to get everyone on the dance floor. Special requests? Just let us know. Check availability for your date. Call 715.225.3169. Wow! You're already ready to get the party started. Download our client contract. Become part of our Eau Claire area DJ network, and work for a fun company with a great reputation. We're always looking for great DJs. Contact us to learn more. Visit our Facebook page every week to see where else we will be playing! THURSDAY - Dj And Downtown @ ALL AGE Cinder City Qualifier at Cowboy Jacks 8:30 to 12:30 ! DJ Mellow D @ Happy Hollow 9:30 to close ! 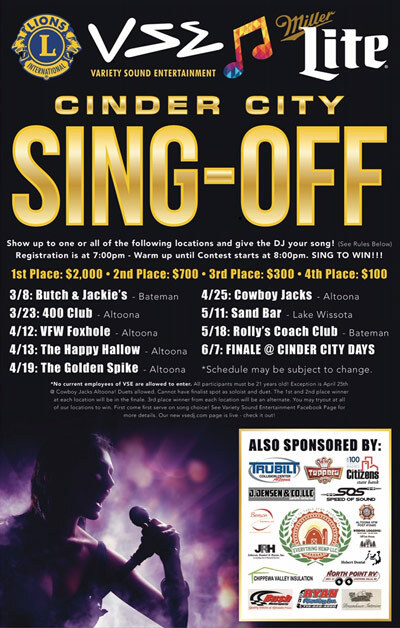 Every year, the Altoona Lions Club and Variety Sound Entertainment host the Cinder City Singoff — one of the Eau Claire area's largest karaoke contests. This event brings together the best singers from across the Chippewa Valley to compete for a top prize of $2,000! Visit our Facebook page for more information. Saturday, March 3 at Golden Spike Bar and Grill in Altoona, WI Learn more. Friday, March 9 at Burch and Jackie's in Chippewa Falls, WI Learn more. Friday, March 23 at 400 Club in Altoona, WI Learn more. Friday, April 6 at VFW Foxhole in Altoona, WI Learn more. Friday, April 13 at Happy Hallow in Altoona, WI Learn more. Saturday, April 14 at The View on Lake Wissota in Chippewa Falls, WI Learn more. Saturday, April 28 at the Eagles Club in Chippewa Falls, WI Learn more. Friday, May 3 at Rolly's Coach Club in Altoona, WI Learn more. Saturday, May 12 at Gizmo's Bar and Grill in Fall Creek, WI Learn more. Thursday, May 17 at Cowboy Jacks in Altoona, WI Learn more. Friday, May 18 at Local Lounge in Eau Claire, WI Learn more. All participants must be 21 with the exception of April 28 at the Eagles Club (20 and under this night only). The top two winners from each location will be in the finale. The third place winner from each location qualifies for the Alternate Singoff on May 18. You may try out at all of the locations to win. First come, first serve with the song of your choice. Friday, June 8 at Cinder City Days Learn more. Our DJ rates vary, depending on the event and location. Contact us for more information! 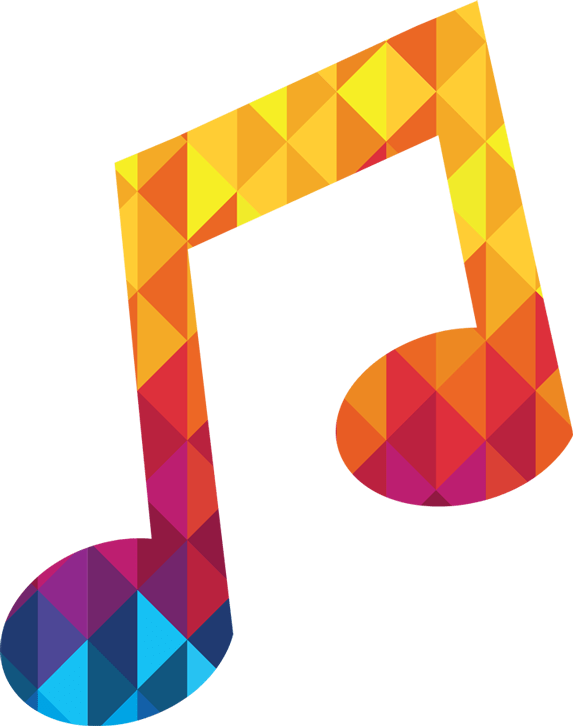 Copyright © 2019 Variety Sound Entertainment Website design and hosting by First Net Impressions, LLC.